Saturday was not as warm as I would have liked, but in the afternoon I did get outside to poke around in the gardens. 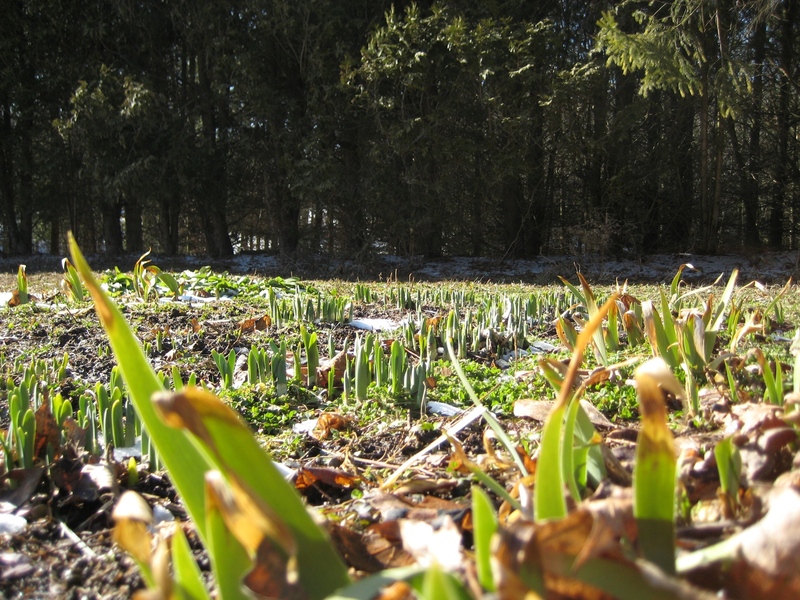 Yes spring is on the way and wow there are more bulbs here than I thought! I can also start to see the shapes of gardens. Some are obvious, but others are at the end of the huge vegetable garden. There are clearly paths and clump after clump of bulbs. 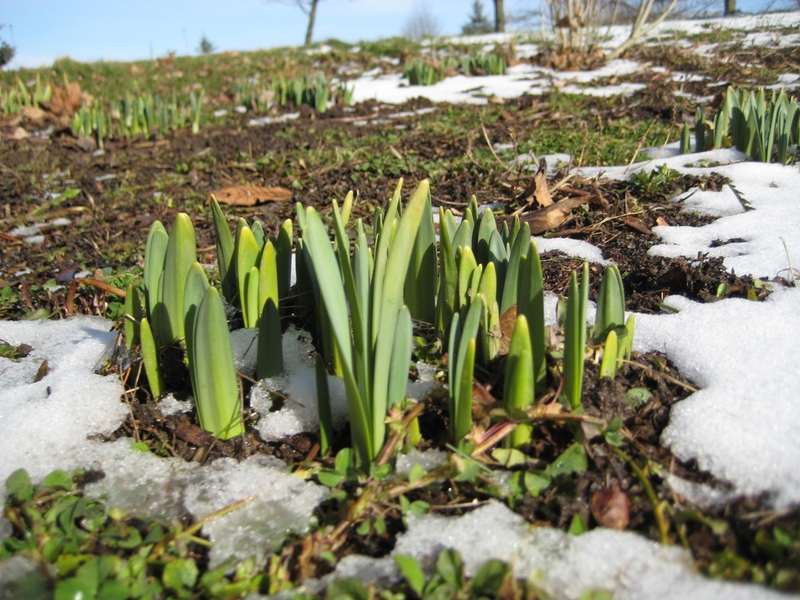 Look at them bravely rising above the snow. So MANY bulbs. I can guess at what some are, but have no idea for sure. I even found a whole row that is along the line of the peonies. Since we bought HH in October I have no clue what spring and summer will bring. Well maybe a few hints, and what people have told me, but I feel like it will be a present everyday for a year! There will be hundreds of blooms. 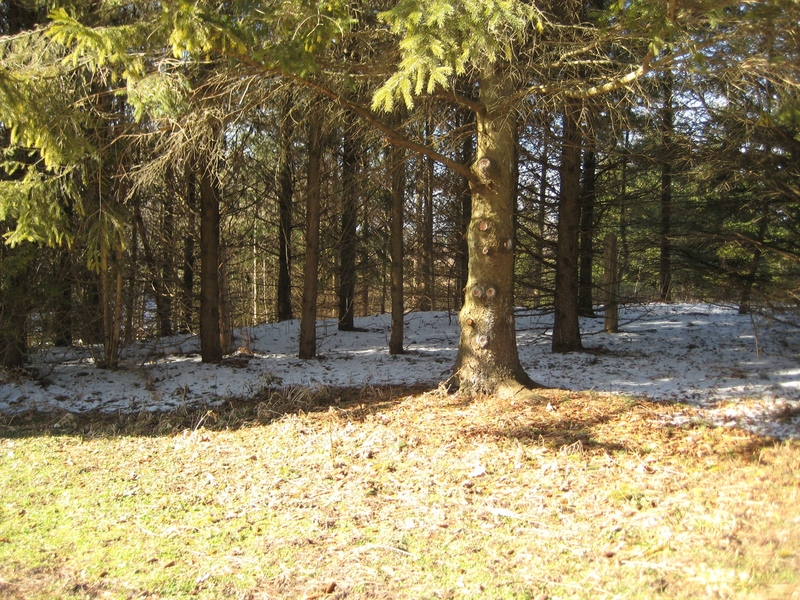 Still snow under the pine and cedar trees. 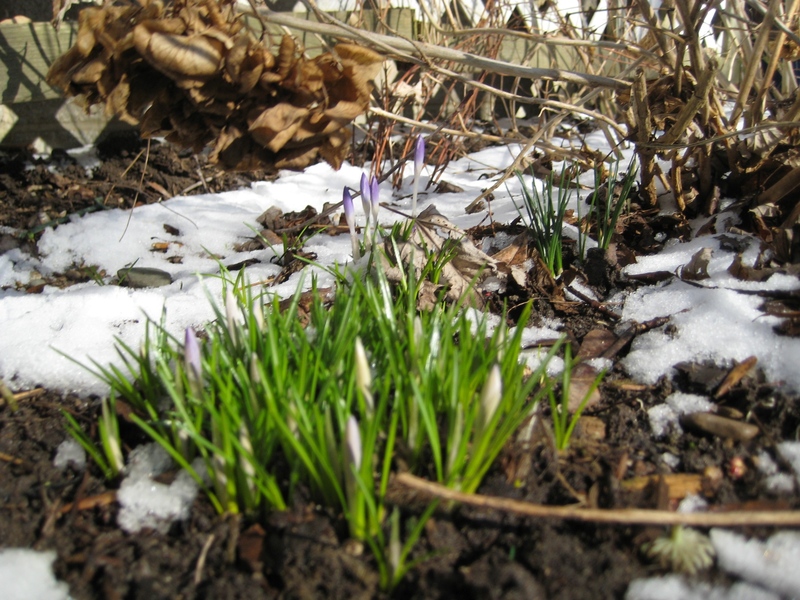 A few sweet crocus that should be in full bloom Sunday. The picture is wobbly because I was trying to not fall on my arse in the mud , again…. Oh no! I am so disappointed I just checked the weather network and the predicted high is only 9 c. I hope they are wrong and it goes to double digits. Though really, I should not complain, it could be snowing. Can’t wait to see what spring delivers. That’s a ton of bulbs. Me too. I was poking around under trees today and found more little green shoots. I may have to sell some cut flowers this spring.